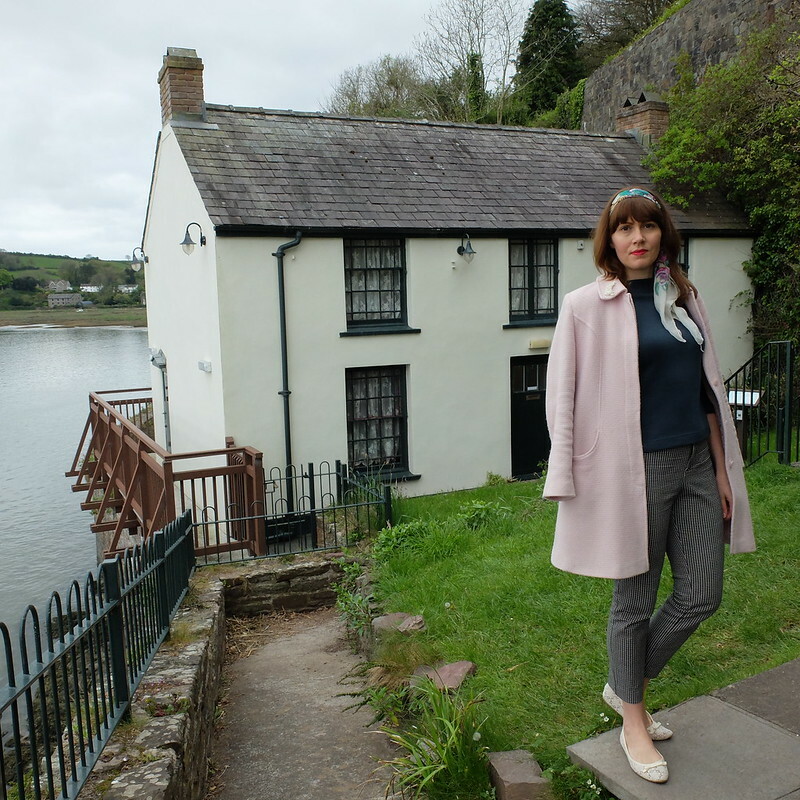 The picturesque little town of Laugharne (pronounced larn as in yarn) was the home of writer Dylan Thomas for a couple of years in the late 1930s, and again in the late 1940s. It's here that you'll find the pub he drank in (Browns), the house he lived in (The Boat House), and his final resting place (the churchyard). We were visiting for my husband's work - he actually had a gig in Browns hotel - and we were keen to tie in a bit of tourist time. It's a pleasant stroll from the town along the estuary path to The Boat House. Today it's a tea room and exhibition space. We were there early one morning, before the tea rooms opened, so took advantage of the quiet to take some rare, uninterrupted blog photos. Note how my top coincidentally matches the shade of green used on the door, window-frames and railings. A new level of matchy-matchy. 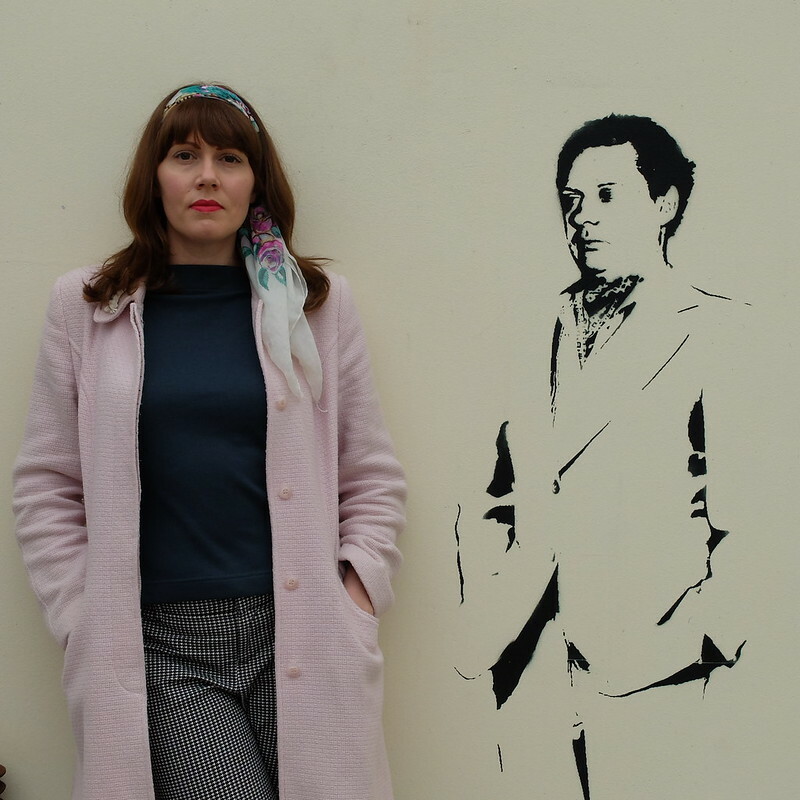 Are you a fan of Dylan Thomas? I haven't read all that much, but do like some of his poetry, such as "Do not go gentle". Every time I see these Vivian of Holloway tops I am takes aback by how chic they are. And perfect with a slim line trouser. What a great idea pairing it with the tailored coat too. 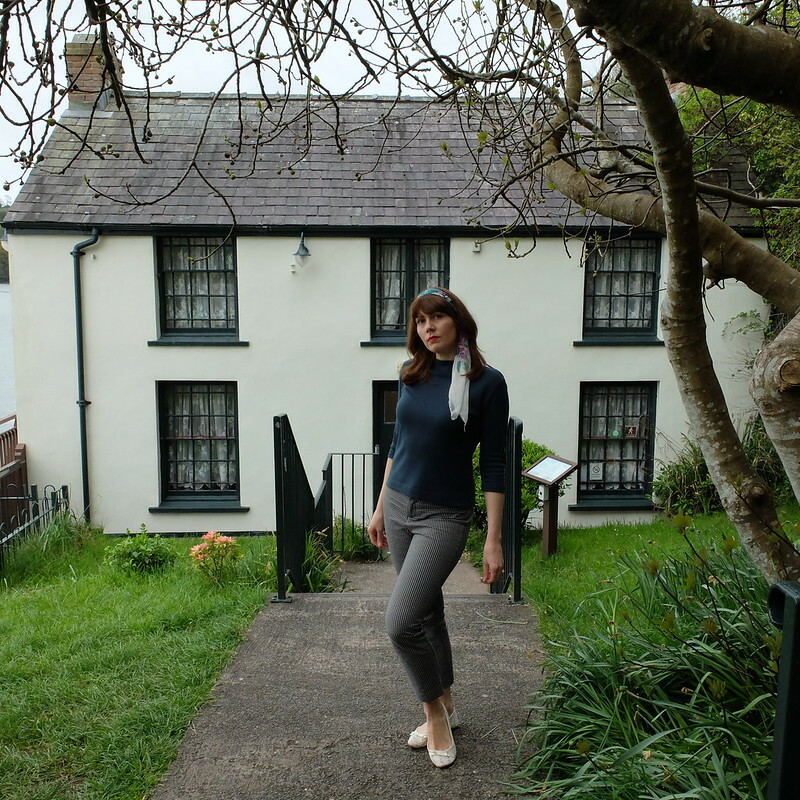 I can't say I'm much of a poetry fan, but I am a fan of pretty little Welsh villages, as well as cute, beatnik inspired outfits. The gingham pants are really cute, and I love the shape and color of that top. Perfect look for a spring day! 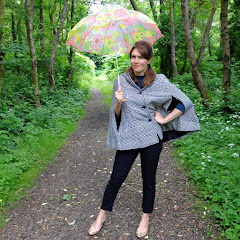 Thanks lovely, it was a very practical outfit for walking around, I have worn various iterations of it a lot lately! I love that area. 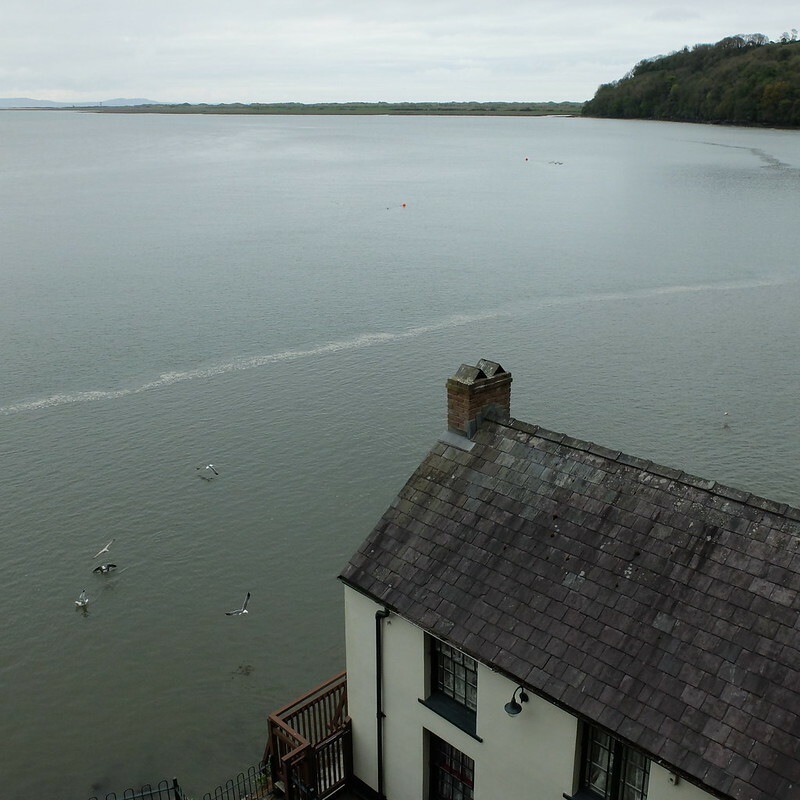 We've stayed in Llansteffan several times and visited Laugharneadn the Boat House from there. 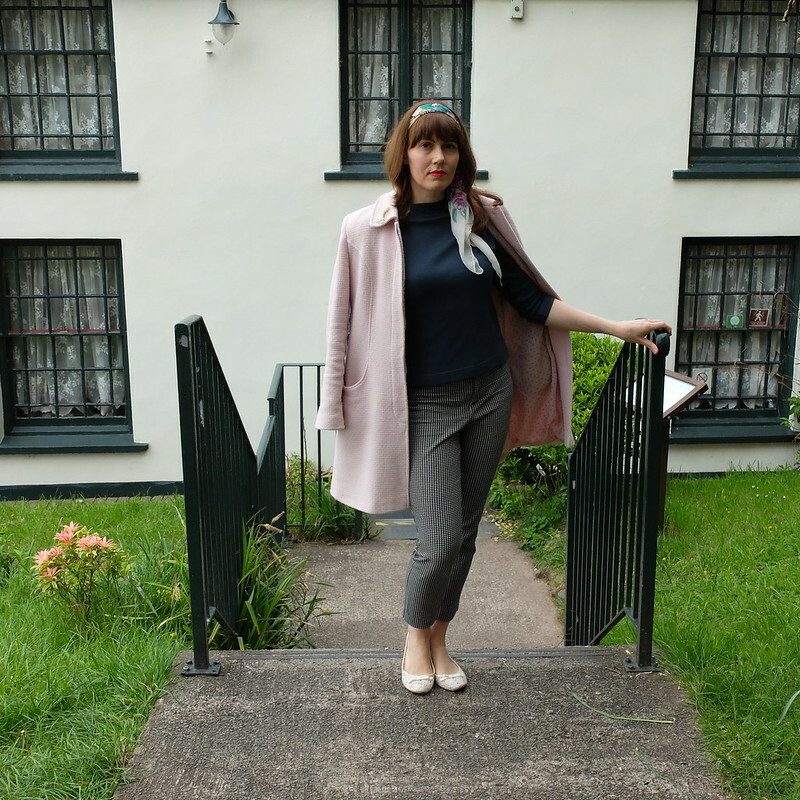 Love the cute cropped trousers - they suit you very well. Llansteffan was particularly lovely, I can see why you've been back there a few times! What a beautiful location! One day I hope to tour Wales. Also, matchy matchy setting and outfits are the best. He certainly did find a new 'local' wherever he went didn't he?! I've not been to that NY one, maybe next time I'm there. 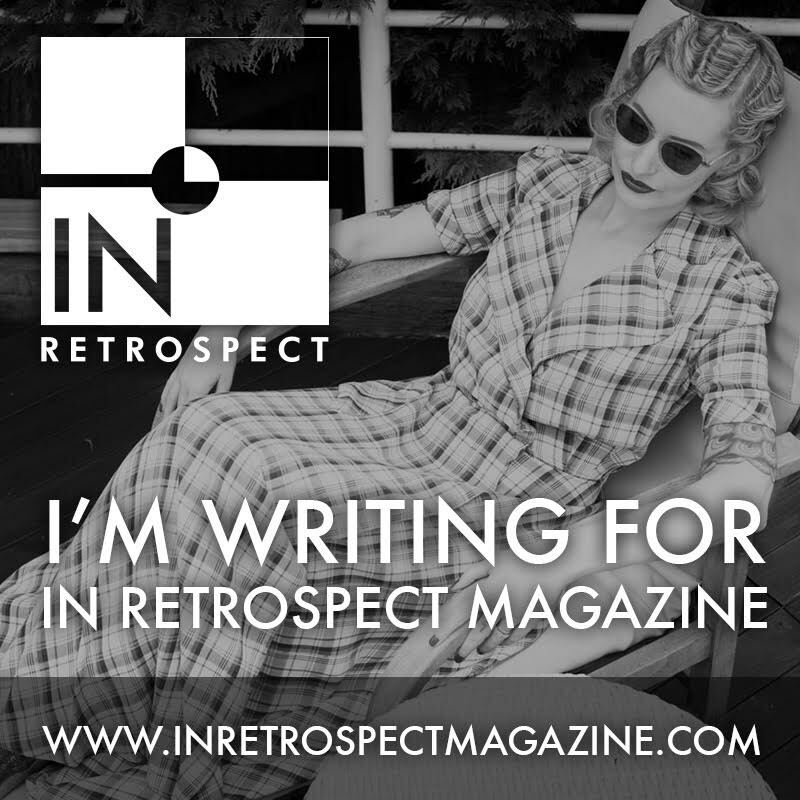 Under Milkwood is all I know, I'm afraid. 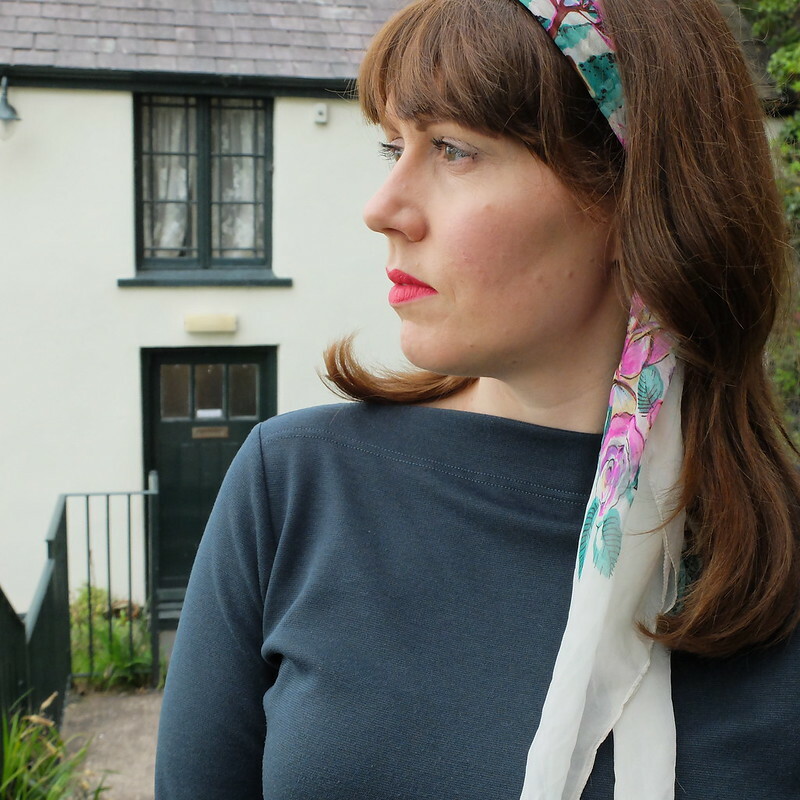 When I was a little girl we used to rent a cottage in Wales for the Summer and could see Dylan Thomas's house from the kitchen window. I wonder what cottage that was? There are a few contenders probably! 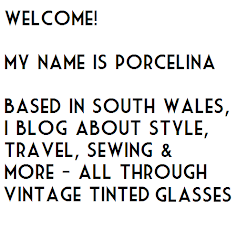 What a beautiful place Porcelina, and that last shot is superb, you're looking as beautiful and put together as usual. Hi Cate, yes I know the film! I can't remember the boathouse either, but I do remember the kind of pre-fab drafty house on the clifftop that was featured. Not sure that was entirely accurate either, there seemed to be another dwelling in Laugharne that apparently housed the Thomases. Gaaah your outfit is so pretty! It's just the sort of thing I'd love to wear, but I'd look like yer nan on a cruise holiday if I tried wearing it - my figure is so rubbish. Those trousers are fab. 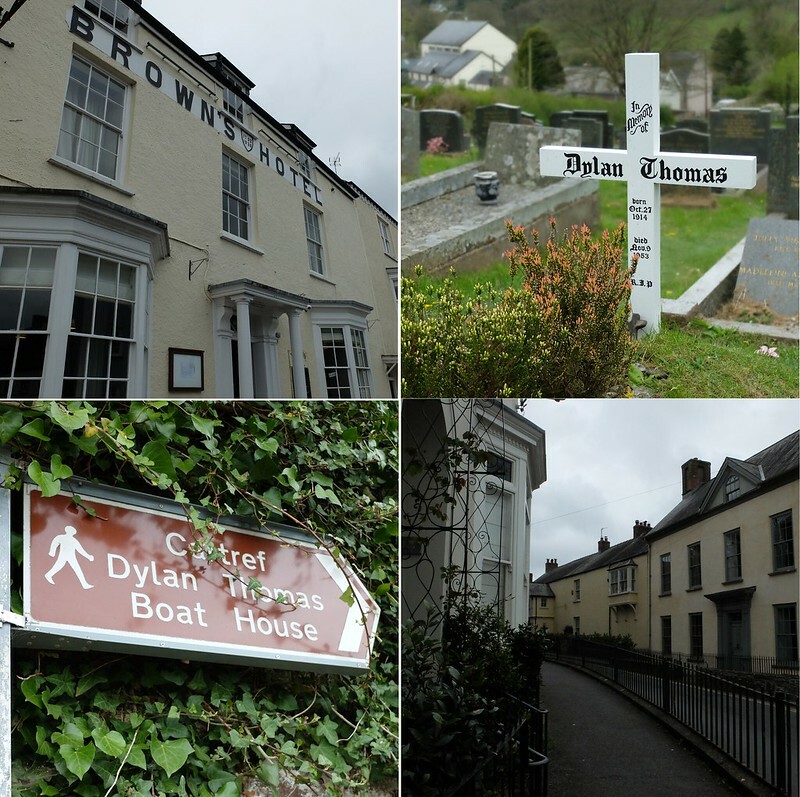 It's really touching that Dylan Thomas had such a sweet, simple house, and such an unassuming grave. It all looks straight out of 'Under Milk Wood'.